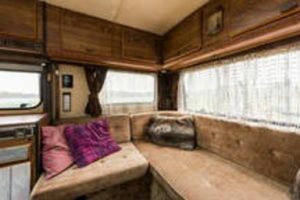 We would like to welcome you in our cosy campervan. An extraordinary experience to explore Amsterdam, Netherlands or Europe! 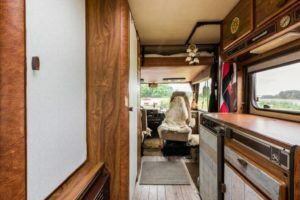 The advantage of this stay is that your tiny home is with you and ready to roll!! Giethoorn, Volendam, Zaanse Schans, The Beach ! you name it and it will bring you there ! The Vehicle is more than 30 years old so please treat her gently like it would be your grandma ? When she is roling she goes smooth just not push the Gas to much, drive 80- max 100 and watch the speedlimits on the motorways and also watch where you need to pay for parking!!! Any fines made by you are of your own responsability. € 25 / night / extra person. € 80 / night (moving) / 2 people. It is equiped with a stove, a heater, a toilet and 12 v electricity. It can carry bikes in the back. For better facilities like shower and 220v electricity you will have to park it on a campsite. A valid driver’s license is sufficient. A deposit of 500 euros is required to cover your own risks. The contract is to be signed upon your arrival.